Whether you’re just starting to think about joining a gym or you’ve been an avid workout fan for years, there’s a good chance you’ve heard of CrossFit. In simple terms, CrossFit is a fitness program that challenges people to break out of their normal workout routine. Most CrossFit aficionados believe that stasis is the ultimate enemy, and patterns in a gym routine should be avoided at all costs. CrossFit is the brainchild of a man named Greg Glassman, who created the program over several decades as a way to improve personal fitness and health. Through varied functional movements that are performed at a high intensity, all CrossFit workouts are based on movements that reflect some of the best aspects of weightlifting, running, gymnastics, rowing, and more. Consistent with the benefits of high-intensity interval training, these workouts are known for their short, repetitive durations. CrossFit programs are designed to improve your physical performance in a variety of ways. Through the use of functional movements, athletes train their muscles, joints, and ligaments for better overall health, flexibility, posture, strength, and balance. Many people are drawn to CrossFit workouts because they know that high-intensity training exercises can burn more fat in less time. In fact, a 2013 study published in the Journal of Strength and Conditioning found that CrossFit programs can improve the body composition of an athlete, regardless of their level of initial fitness. If you struggle making it to the gym on a regular basis, enrolling in a CrossFit program is a great way to keep yourself motivated. A major appeal of CrossFit is also the mystique of the community. CrossFit gyms are a great place for people who are looking for something outside of the traditional gym experience. There is a strong sense of family in most CrossFit fitness centers, where people root for each other and motivate each other to be the best they can be. If strength training intimidates you or you find yourself avoiding the weights at the gym, CrossFit is a great way to gain confidence in strength training. All CrossFit classes are led by a trained coach to ensure that everyone is working out safely. Your coach will make sure that you are using proper form for each exercise, decreasing your risk of injury. They will also be able to offer you modifications for workouts that don’t work for you due to previous injuries. Tired of counting calories and always talking about the number on the scale? With CrossFit workouts, you can measure your fitness results in a more healthy manner. Most CrossFitters keep track of their personal records (also known as PRs) for specific workouts, which can make it easy to see improvements in your strength, stamina, and cardiovascular health over time. 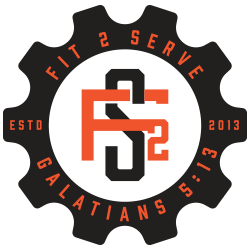 If you live in or around Henderson, Nevada, and you’re interested in learning more about CrossFit, stop by Fit 2 Serve Fitness today. We offer a variety of workout classes for the whole family, including group workout classes, CrossFit classes for kids and teens, and women’s-only classes. Contact our CrossFit trainers today to learn more!